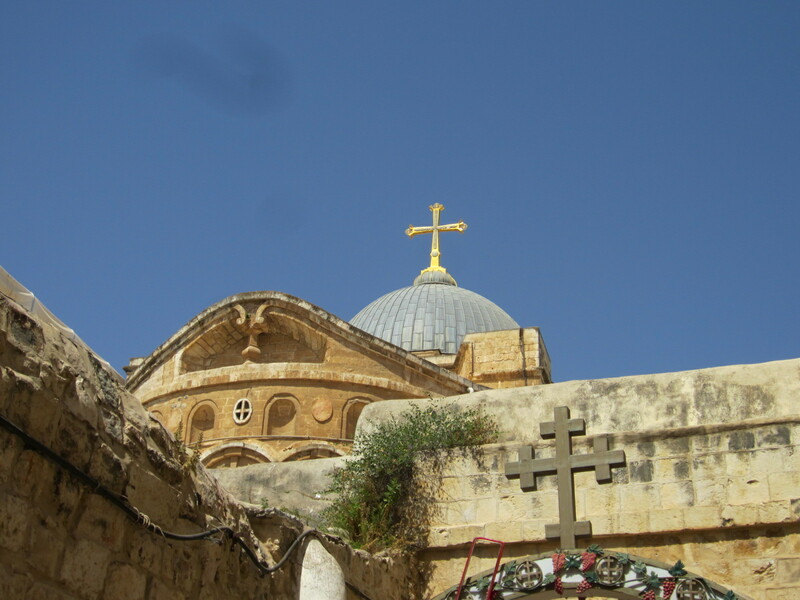 Old Jerusalem, a city sacred to Jews, Christians and Muslims sits behind high stone walls and contains a diverse cross-section of the faithful. There is an obvious religious and spiritual presence felt throughout the city and the animosity between the Jews and Arabs is palpable. The city within the walls is divided into Muslim, Christian, Armenian and Jewish quarters. Just outside the east gate sits Mount Olives with Orthodox, Armenian and Catholic churches marking everything from the final resting place of the Virgin Marry to Jesus’ first sermon. Entering the gate begins the Via Dolorosa that marks Christ’s journey from condemnation to crucifixion. 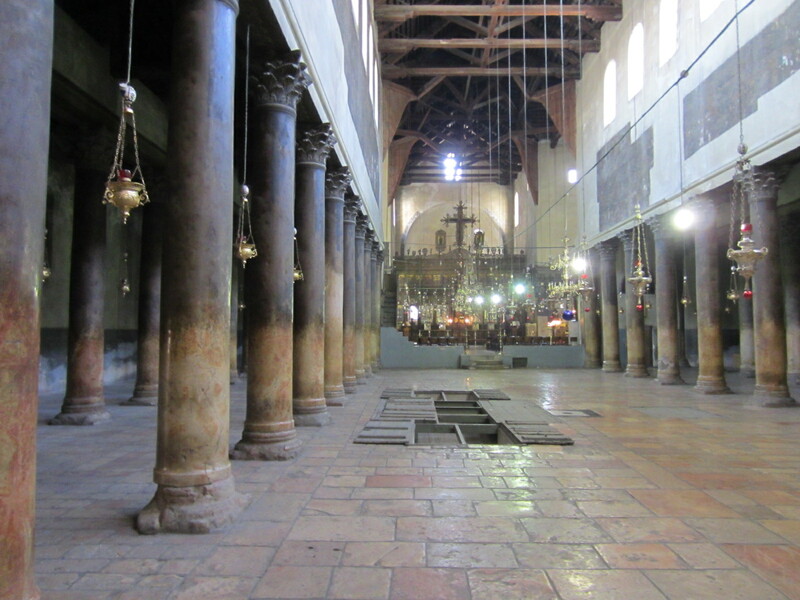 Winding through the Muslim section into the Christian section are various ‘stations’ marking the spot where Jesus was crucified and buried. The large church is an impressive sight and home to many uppity factions of Christians that often have confrontations over who has what duty. The keys to the church are kept by a Muslim family. The Jewish quarter is filled with men in yamakahs and curly sideburns walking along side Israeli military up and down the winding allies. 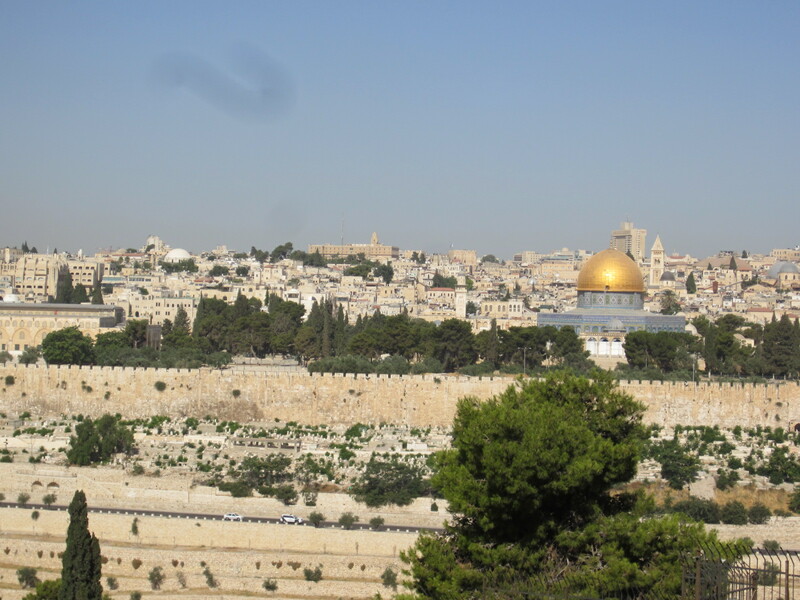 The most famous sight here is the western wall, a large open air synagogue at the western retaining wall for the temple mount. Here women and men are separated and sent to their respective section of the wall. 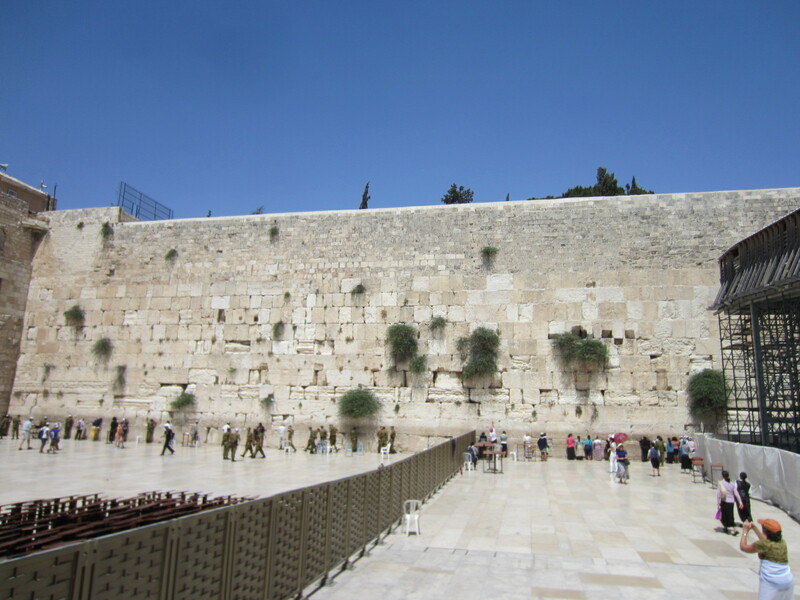 At the wall Jews stand vehemently rocking back and forth at the waist often with a Torah or Talmud praying and lamenting while everyone else places sheets of paper with prayers on them into the cracks of the walls. High above, almost in a sense of mockery, sits the Dome of the Rock. 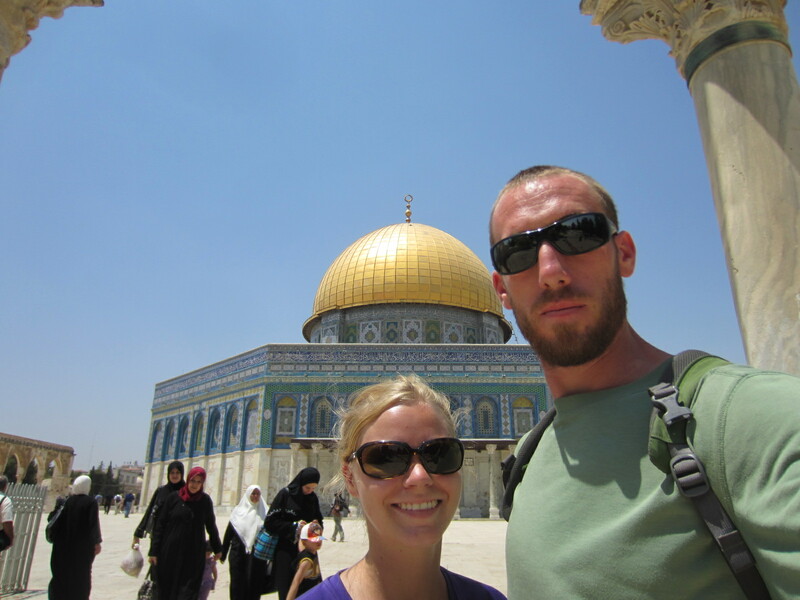 Reached via a wooden ramp the Dome of the Rock is a Mosque that sits on the Temple Mount. While most Jews adhere to the law and stay off the temple mount, those less devout, as well as us other infidels, are allowed into this area a couple of hours each day. The Mosque is large and beautifully decorated adorned with a large golden dome. An impressive sight especially when you look over the city and see bell towers and minarets protruding from every corner. Heading through the large concrete walls into the city of Bethlehem really shows how the Israelis have isolated the Arab Palestinians from the rest of the region. 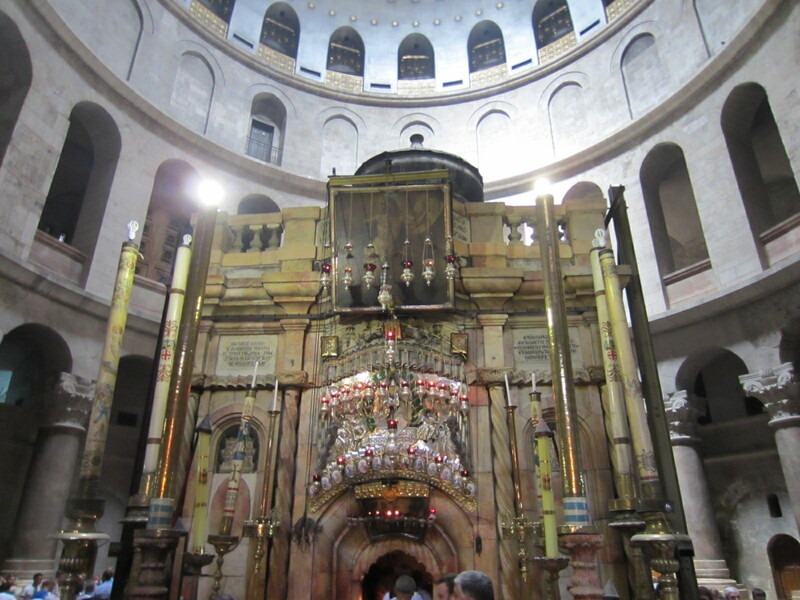 Regardless, hundreds of tourists come every day to this holy city where Jesus was born. 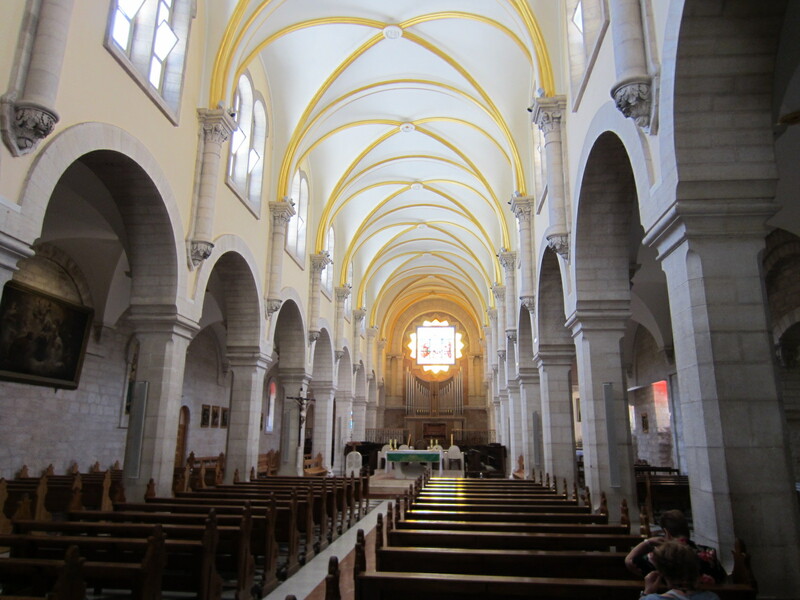 The main draw is the Church of the Nativity where Jesus is said to have been born in the grotto beneath the altar. 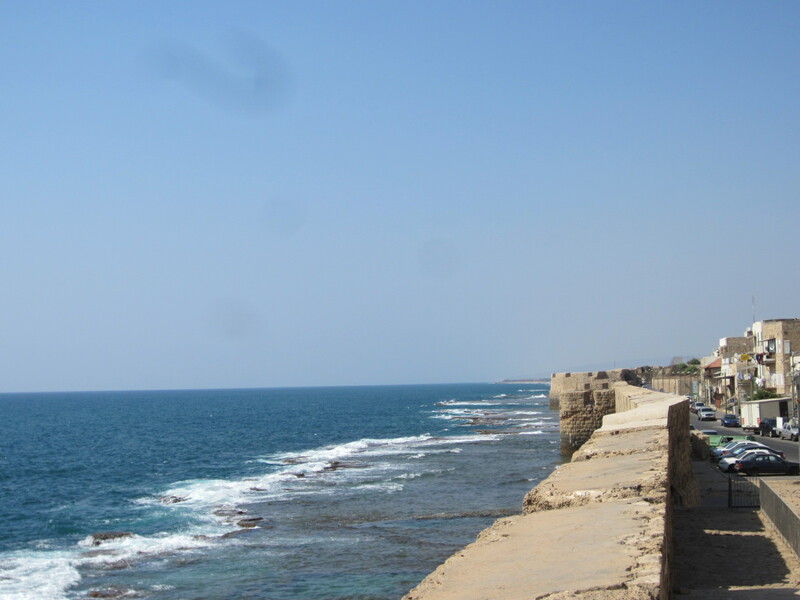 This coastal city in northern Israel served as the docking point for all crusaders coming across from Europe. 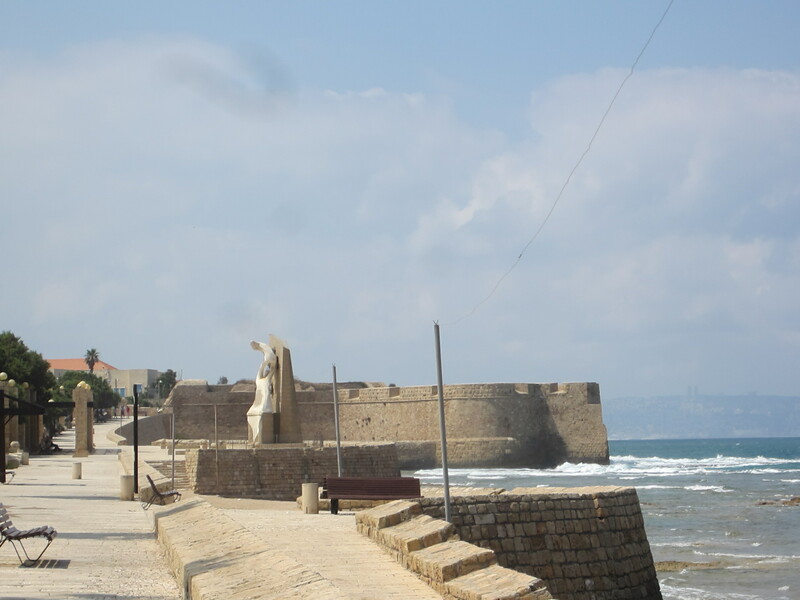 Its old city sits in the stone walls and still maintains a medieval feel. The city also houses a large Templar fortress with tunnels running beneath the city. Taking a day-trip from Jerusalem we headed to the Dead Sea, which sits 423 meters below sea level (lowest point on Earth without being under water). 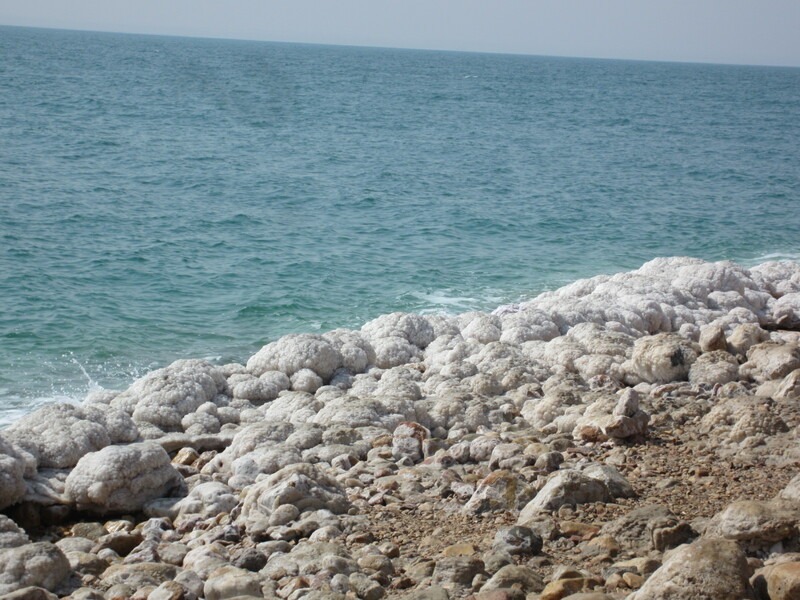 The water in the lake has 33.7% salinity which creates an extra buoyant lake and a shore with rocks covered in a salt coating. Entering the water almost feels like entering a lake full of oil. The thick water held us up where we didn’t need to use of hands or feet to stay afloat. 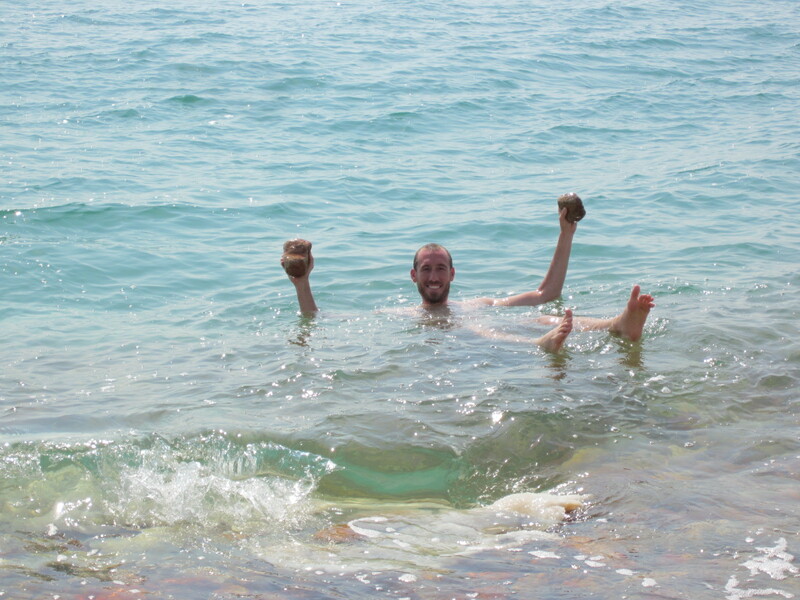 Even holding rocks you only dip a couple of inches down into the water. It is more like sitting on a fluffy cushion than swimming in water.